As biologicals are getting more and more attention, we think its exciting to see both organic and conventional farmers really paying attention to their soil and using it as a real tool in the growing cycle. 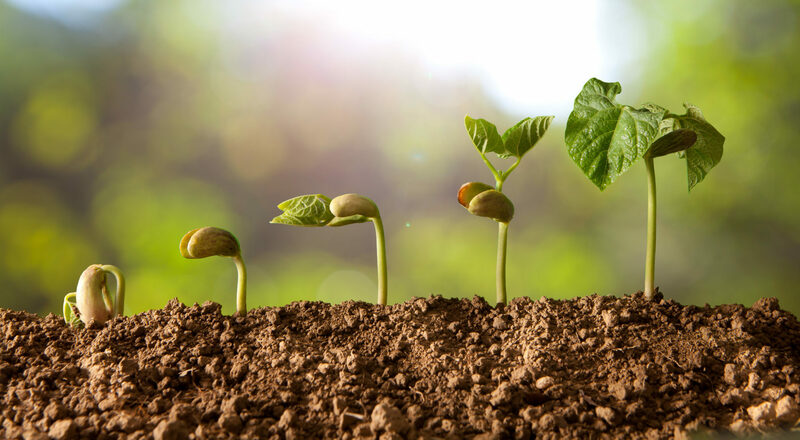 AZOMITE can play a part in developing rich soil that can in turn provide crops with what they need to grow at their optimum level. We want to thank you for your interest in AZOMITE, and what it can do for your business. We’d like to point to a few highlights we have here on our site. At AZOMITE Mineral Products, we are committed to continual research to truly understand the science behind AZOMITE. While AZOMITE was created 30 million years ago when a volcano erupted into a seabed, and the deposit was discovered in the 1940s, we are always looking to perfect its uses and optimum application methods. We also like to show you that it works. 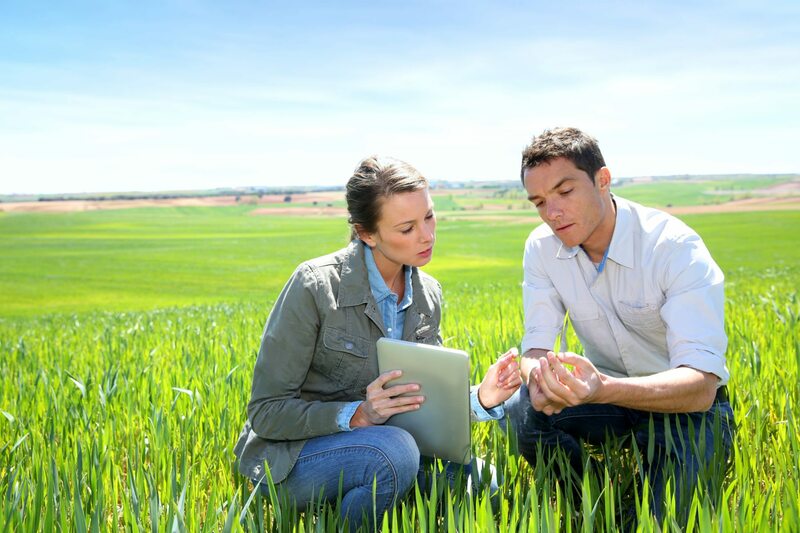 So take a look at our Research section, where we have tested AZOMITE on a variety of crops in a variety of locations. AZOMITE is a natural deposit, which we blast and mine, and crush, granulate, and pelletize it for different application methods. We have Pelletized, Granulated, Field Grade, Micronized, and Ultrafine—all AZOMITE. You can read about the different uses and advantages for each of our grades on the Products page. And of course, if you have any questions or would like a sample, please contact us using the contact form below. Ultrafine is our finest grade, where 90% of particles will pass through a 450-mesh screen. The fine powder is ideal for field crop drip or other irrigation systems, as a spray tank additive for foliar feeding, use in greenhouses, hydroponic systems or applying when planting or blending with potting soil. Micronized is a powder with flour-like consistency, where 90% of particles will pass through a 200-mesh screen. Micronized is ideal for blending in soil or applying directly when planting. Field Grade mimics a coarse sand. Particle sizes range from 1/8” to powder for both rapid and longer-term results. Field Grade is designed for composting and blending with other products in application. Granulated is agglomerated into easy-to-handle granules with only a modest amount of dust. Applied to the soil, granules will break down over a week or two once irrigation hits. 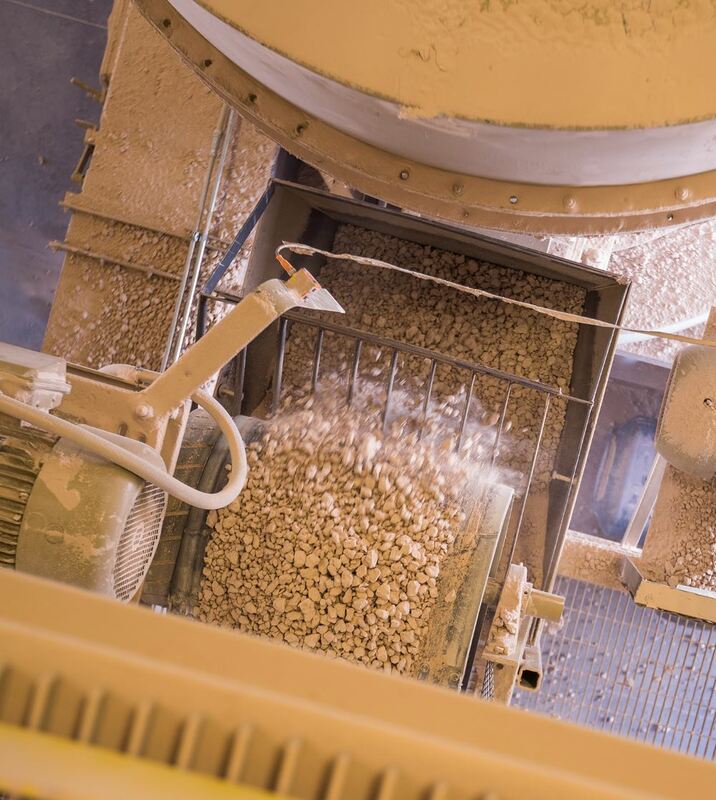 Formed as an extruded pellet, Pelletized is easy to handle and apply. These pellets will break down to powder immediately when moisture hits it, so it will start working right away. For more information about AZOMITE or to answer any questions, please fill out the form below.